KANNAPOLIS- The Asheville Tourists bounced back on Wednesday night with a big 6-3 road win against the Kannapolis Intimidators. Sean Bouchard and Casey Golden both hit Home Runs on a night where Asheville's pitching staff was clicking on all cylinders. The Tourists struck first in the top of the second inning. Todd Czinege , the current South Atlantic League Player of the Week, hit an RBI double to score Golden for the game's first run. Czinege would later score on a Kannapolis error to put Asheville in front 2-0. The Intimidators pated two runs in the bottom of the second to tie the game; however, Bouchard had the answer in the top of the third. Asheville's first-baseman clubbed his 14th Home Run of the year with Ryan Vilade on base to give the Tourists a 4-2 lead; a lead they would never relinquish. Kannapolis used a solo Home Run in the bottom of the third to sneak back to within a run but Garrett Schilling shut the door after that. Asheville's starting pitcher recorded four consecutive strikeouts and took the Tourists into the sixth inning before departing. Nate Harris entered and tossed 2.1 innings of scoreless baseball. Asheville added some insurance down the stretch. Golden blasted his 33rd Home Run of the year with a solo shot in the fifth and Austin Bernard laid down a safety squeeze bunt in the eighth. Tommy Doyle pitched a clean ninth frame for his league-leading 16th save of the season. 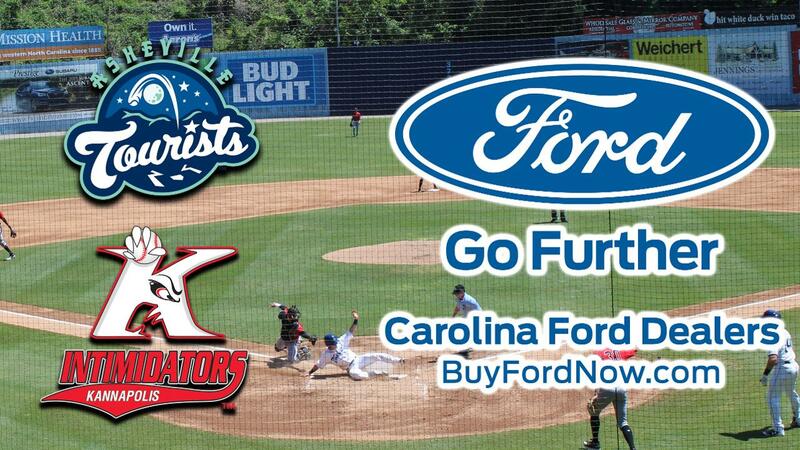 The Tourists gained a game on both Lexington and Greenville in the Southern division standings and find themselves three games out of first with five left to play. With the loss, Kannapolis is now tied with West Virginia in the Northern division wildcard race.